I’m telling you, each kid makes me more and more of a homebody. 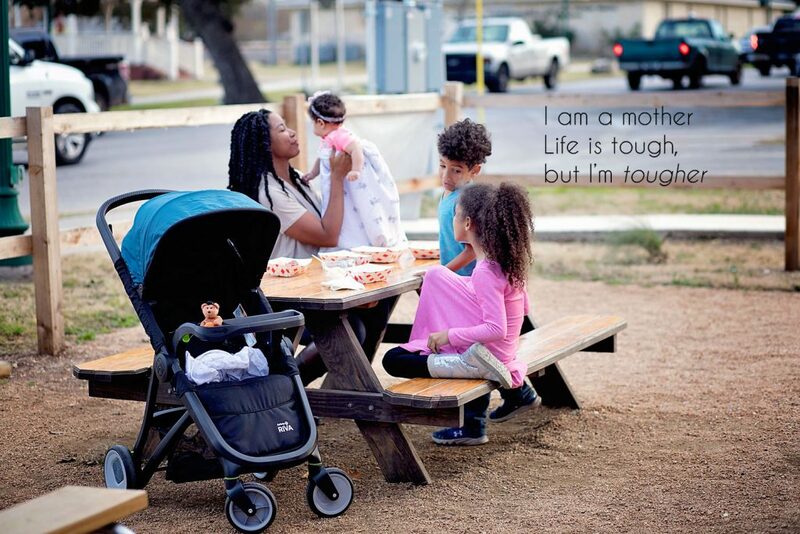 After having my first daughter, I was out and about all the time during my maternity leave. We went to mommy and me yoga and lots of play dates. This second half of the year, after my third baby, I went from being cooped up with a newborn, to battling and avoiding sickness. Lee Lee and I hang out at home most of the day, just working, taking pictures, and doing all the things before her brother and sister to get home. Then when they get back the house explodes into chaos. Aside from doctors appointments, I don’t go many places with all three of them. In fact, you could argue I avoid it at all costs. Honestly, sometimes it’s a little scary. Being outnumbered by my spawn. Particularly in public. But the past few weeks I have pushed myself to be brave. And I’m proud to say that I survived. I load up the baby bag with bribes snacks, put some blankets in the stroller and take leap of faith. 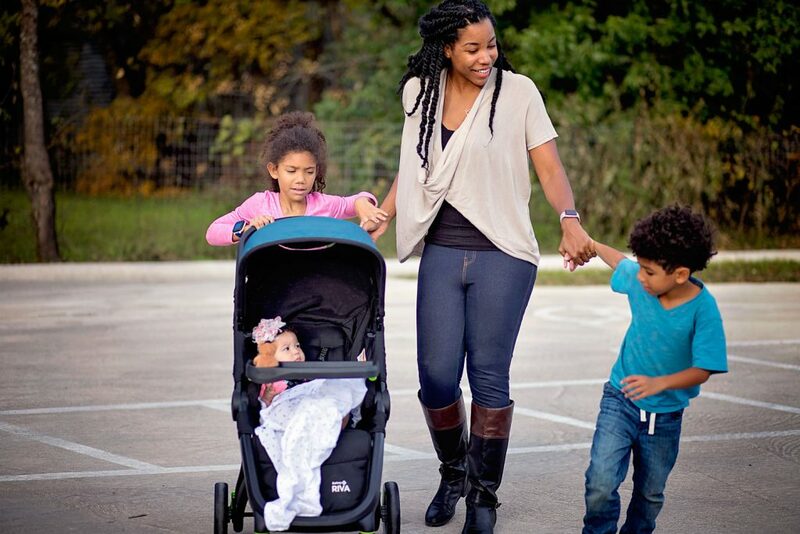 It’s so nice that our RIVA stroller is lightweight and easy to take along. I can fold it or unfold it with one arm while I have my baby in the other. There’s lots of storage underneath for baby and big kid things, a shade for sunny days, and the older siblings love to help push it. Now that Lee Lee is bigger, she likes to ride looking out at everyone. But I can also just snap her car seat right into it. Another cool thing about this stroller is it’s made with a special blend of recycled materials in a zero waste facility in Columbus, IN. The resin in the frame is made up of recycled potato bags and diaper tabs. 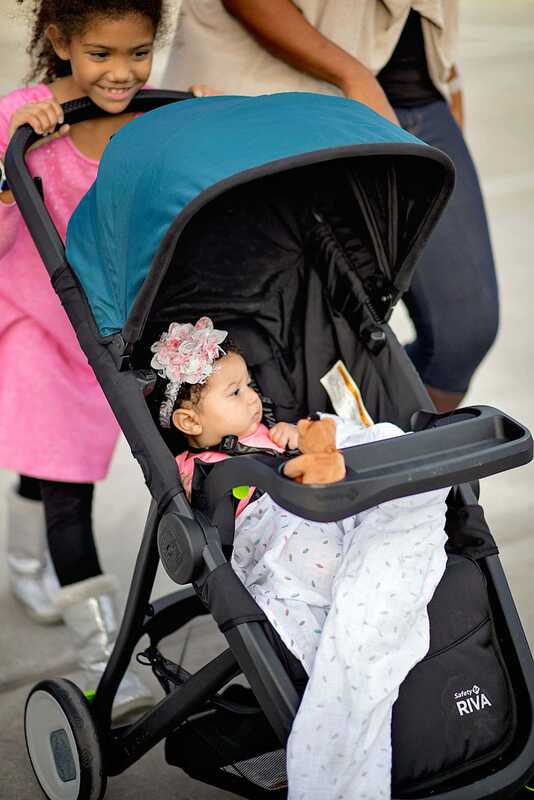 The child tray and cup holders are actually made from a resin using their recycled car seats.These strollers are saving 130,000 lbs of plastic from the landfill! 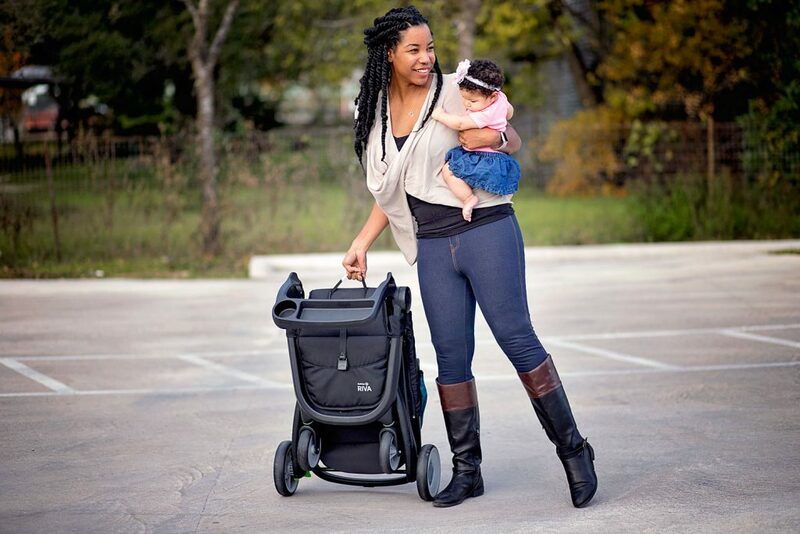 The RIVA travel system is available at Walmart stores and online at Walmart.com. We’ve gone out on what you might call “brave little adventures.” I don’t try to overdo it and stay out for long periods of time. Just an hour or two here and there and each time it gets a little easier, and a little less scary. We went to a birthday party and I survived. To a food truck for dinner and I survived. We went to two movies at a movie theater (on two different days), and somehow, I survived. I even took them shopping at a little consignment store, and guess what? I survived. Now sometimes, (if you tilt your head just right) it even looks like I have it together. 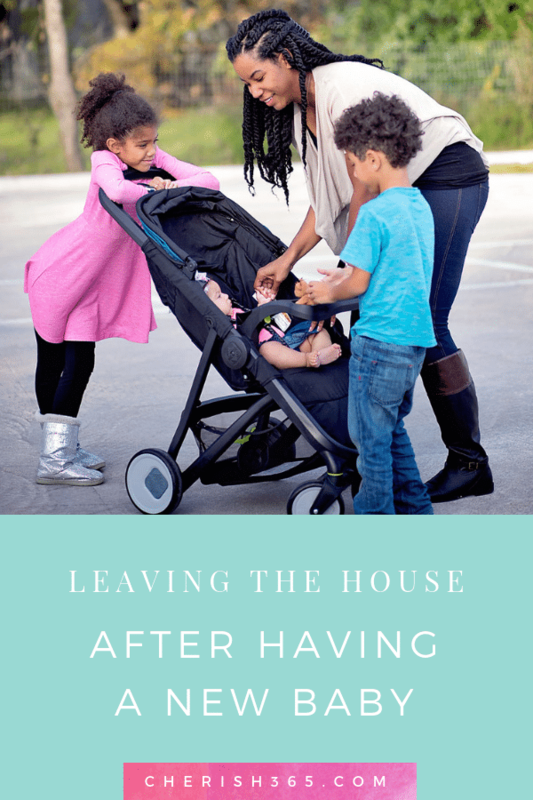 If you recently had a baby, or a second, third, or fourth baby and you’re not feeling up to going anywhere, that’s ok. Someday when the weather seems unusually nice, or a friendly person offers some help, or an activity or sale sounds too good to pass up, you may get brave and head outside. And you will survive. Congratulations on your survival! 😉 I’ve heard that going from 1 to 2 is a big leap, but how is it going from 2 to 3? Is it easier or more difficult than 1 to 2? Oh my word, I laughed out loud about you packing bribes – er, snacks! As a fellow mom of 3 (4 when my bonus son is over!!) I can COMPLETELY empathize. Going from 2 to 3 kids completely shifted my world because suddenly, I had more kids than hands. And that can get scary. I love your stroller!! Since my youngest two were only 19 months apart, I opted for a double stroller until the youngest could walk. Bulky? Yes. But I felt my kids were safer. But for the most part, I just stayed home. The “baby” is about to be 3 now and I’m still more homebody than most, since he thinks dashing away from me is great fun. I’ve come to realize that this time feeling stuck like a caged bird will be short-lived and gives me an amazing chance to get quality time with them while they’re little. I won’t have another chance like this. Thanks for sharing the laughs & encouragement that I’m not alone in being a homebody!